Beams glinting off cruelly-sharp crystals; she couldn’t see the particles, only white globular outline, archetypally familiar, but she knew what it was made of. Dagger crystals, broken snowflakes, crushed and reformed like her arthritic knuckles. Daggers that caused invisible punctures of cold stabbing straight to the swollen bones. Beauty and cruelty in coldness. Once she, too, had those properties. The world was different then, better, even with the suffering. She was loved, adored, maybe worshipped; it was too easy to think it would last forever. So arrogant. The snow-woman stood alone. The white was desert around it, barren. The sun moved higher and it began to melt. She wiped her face stiffly as the pain came back. Cruel daggers in hands frozen. The running streaks like fire in orange light as she melted. Orange sun like it was summer setting, burning out in no heat. 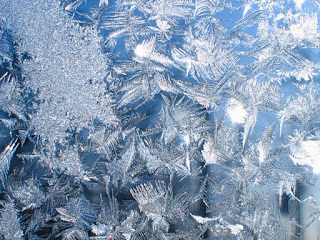 The cold fire of melting was all there was, pain into stillness as the molecules finally stopped their dancing in endless cold. She should have been different. Nothing lasts, and soon even that thought would be gone.